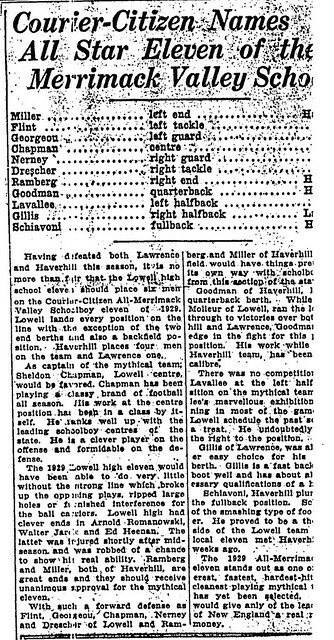 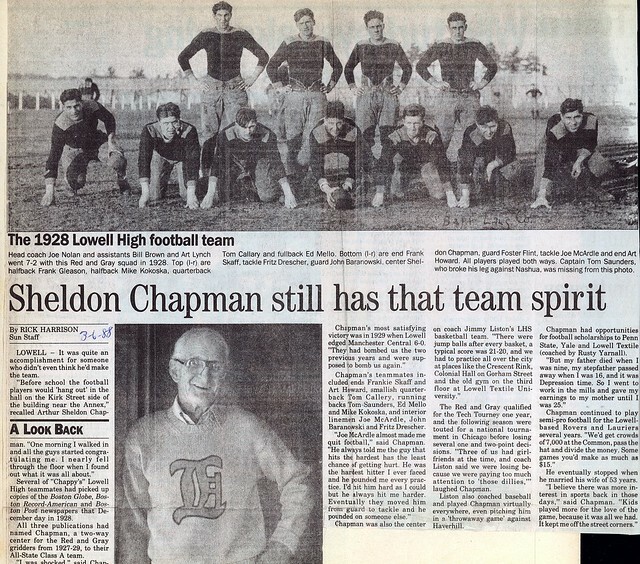 Despite playing the decidedly unglamorous position of center, Sheldon Chapman still managed to carve a niche for himself in the annals of Lowell High School Football. 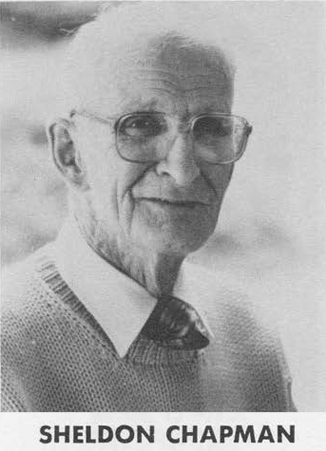 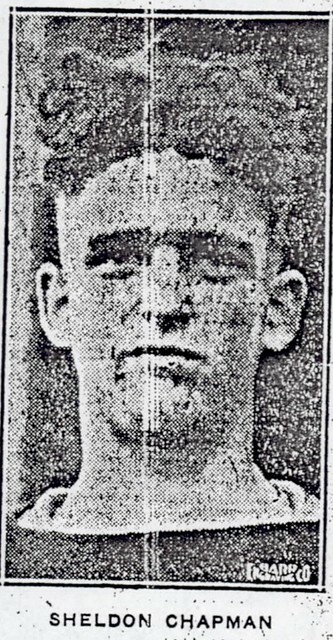 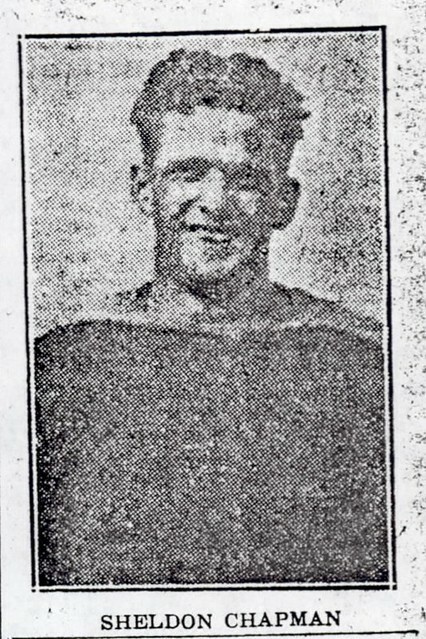 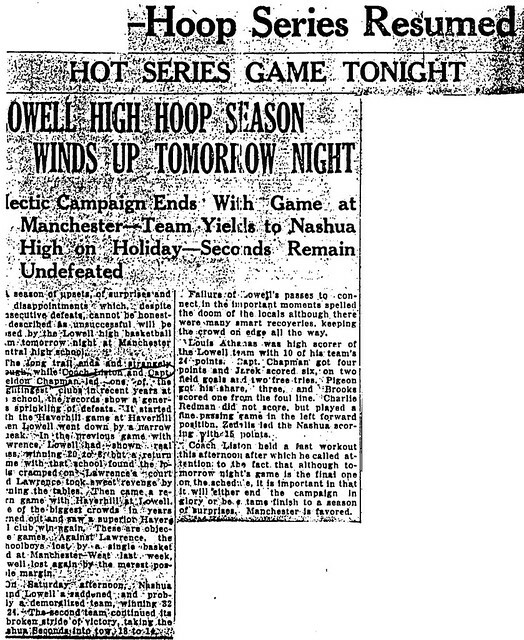 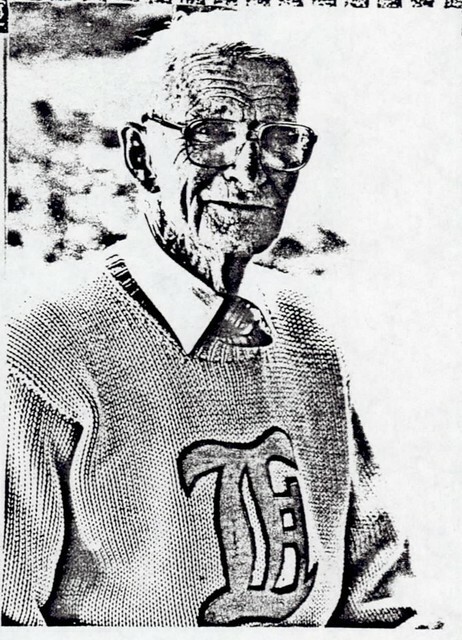 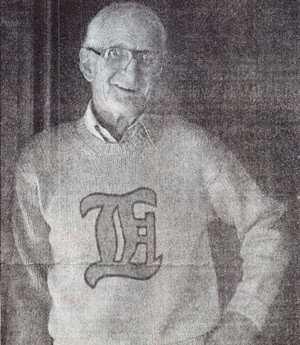 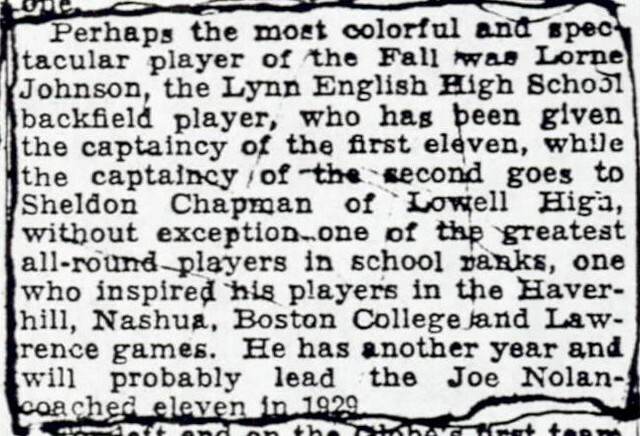 Actually a three-year, three-sport standout, Sheldon captained Coach Jim Liston’s Basketball Squad as a center during the 1929–1930 season and also played three years as an outfielder for the Red and Gray Baseball Team. 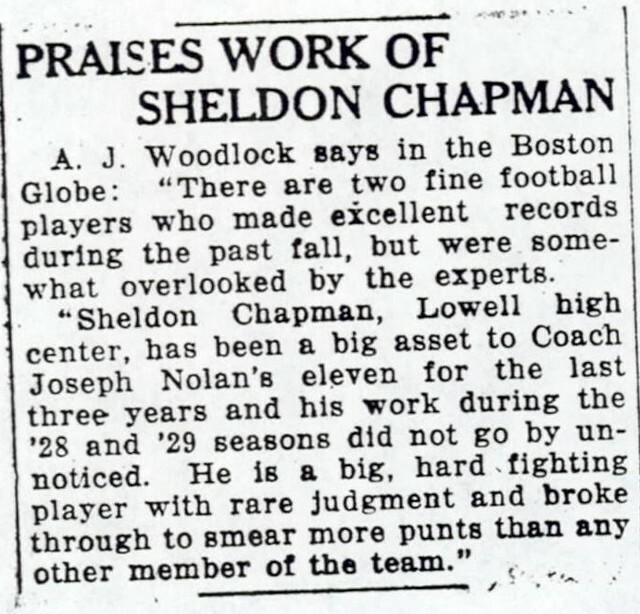 It was on the Gridiron, however, that Sheldon gained his greatest recognition. 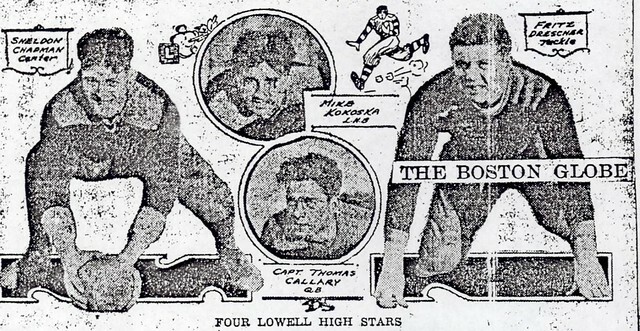 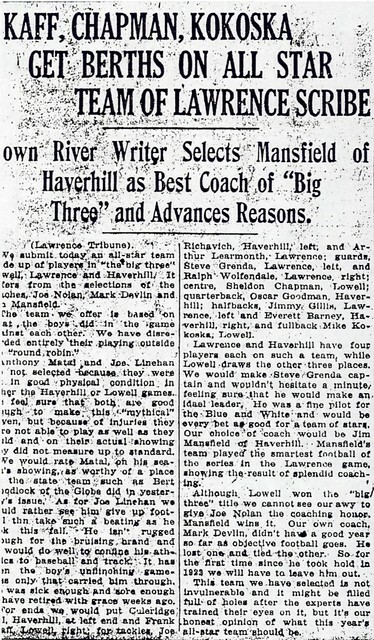 As a center, he anchored the Lowell High School offensive line of Coach Joe Nolan during the 1927–1929 seasons. 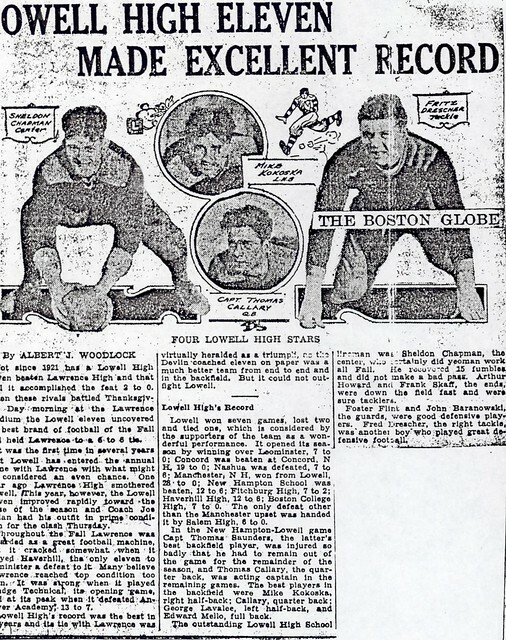 On defense, he wreaked havoc on opposing offenses as a roving center, or linebacker, making tackles, blocking punts, and pouncing on fumbles–an incredible total of 15 in 1929 alone. 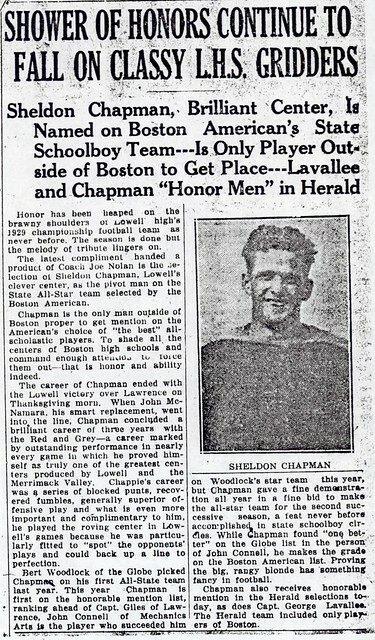 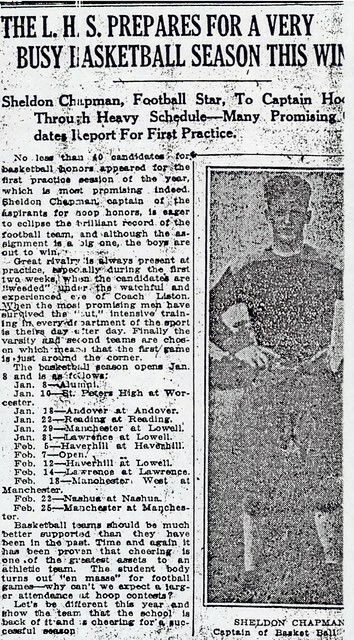 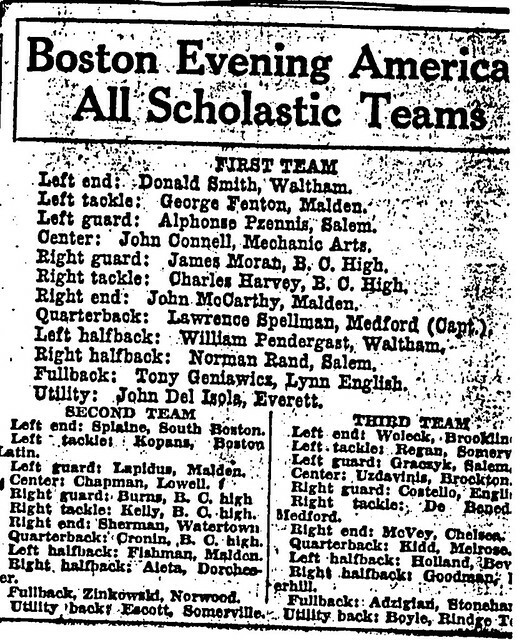 For his efforts, Chapman was named All-Scholastic in 1928 and 1929, being honored as Captain on one of these all-star teams. 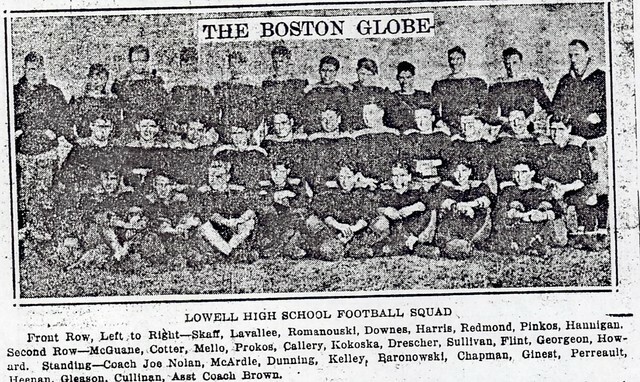 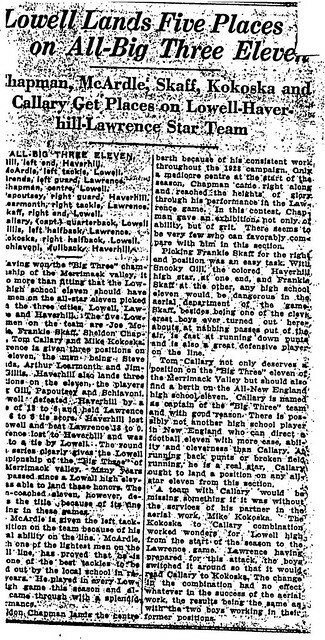 Sheldon later played semi-pro baseball and football in Lowell. 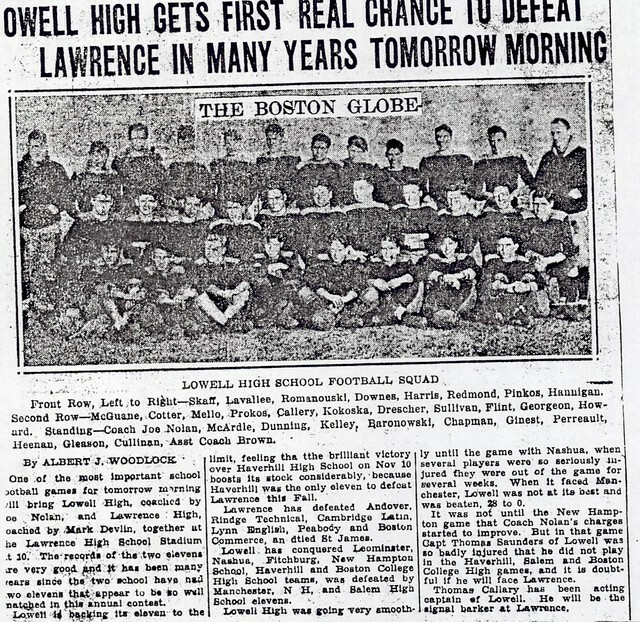 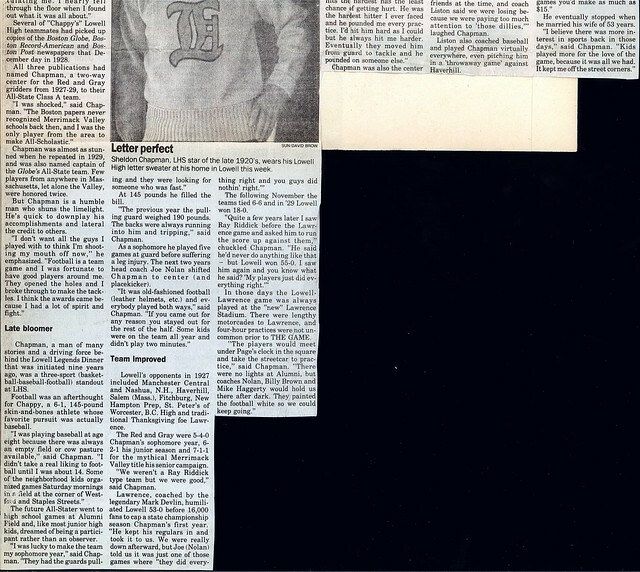 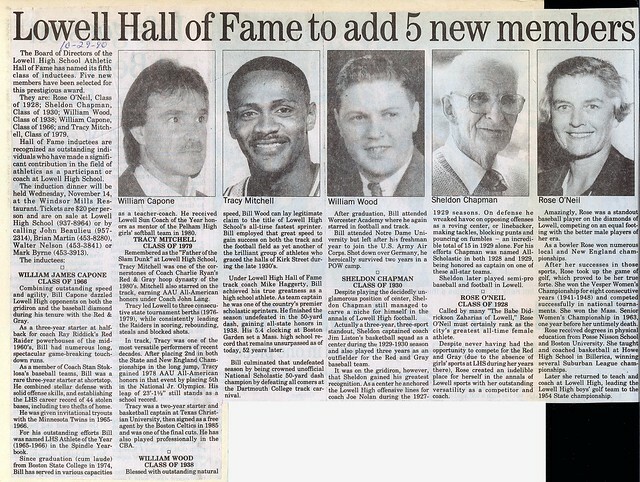 Chapman returned to the local sports scene during the 1980’s as originator of the Greater-Lowell Sports Legends Banquet, an event that has become a prominent part of the annual local fall sports schedule.